For effective mechanical protection against most forms of attack as well as protection against unauthorized duplicate keys, Medeco3 cylinders are recommended. Security features including hardened steel components, pins that must be elevated, rotated, and interact with both a sidebar and a slider, and additional pick resistant features make Medeco3 the cylinder of choice to protect people, property and information. Includes one key. Additional keys may also be purchased. The shrouded shackle design provides extra shackle protection against cutting attacks. Hardened stainless steel inserts inside the cylinder provide the ultimate defense against drilling and other forms of physical attack. Unique elevating and rotating tumbler pin system is virtually pick proof. All Medeco cylinders are constructed of durable machined brass components, designed to last the life of your equipment. 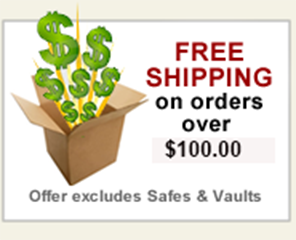 Patented Medeco3 keys may only be duplicated by Medeco or an authorized Medeco service outlet, and only at your request. Uses a boron alloy steel shackle which protects against cutting and pulling attacks. 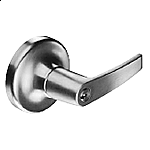 Locks can be keyed alike, keyed different, or master keyed depending on your specific needs. Available in a variety of different shackle lengths. Medeco's new premium high security padlocks can be used in a variety of different indoor or outdoor applications where high security and key control are a primary concern. Available in either a 5/16" or a 7/16" shackle diameter. Medeco's new premium high security padlocks are available as key retaining or non-key retaining. Extended shackles available for Indoor/Outdoor padlocks only. Warranted for two years against manufacturer's defects.